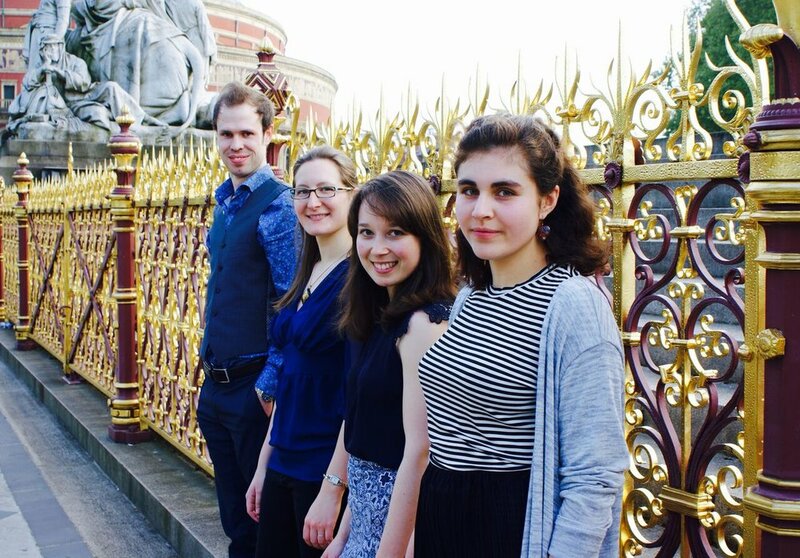 Improviso is an exciting and versatile young quartet who formed in 2015 at the Royal College of Music in London. They explore historically informed improvisation alongside performing chamber music of the seventeenth and eighteenth centuries. Praised for their inventive programming and exciting stage presence, they have appeared recently at the Styriarte Festival in Austria, Bad Liebenwerda in Germany and at venues all over the UK including London’s Wigmore Hall where they are Chamber Tots Ensemble in Residence. In 2017 Improviso were selected as one of Brighton Early Music Festival’s ‘Live!’ Ensembles, and will be performing at the festival showcase in November. They have also just been awarded a chamber music residency in 2018 at Snape Maltings, Aldeburgh.